OFF > 1000lm/310min. > 1500lm/160min. > 2000lm/95min. > 2500lm/60min. 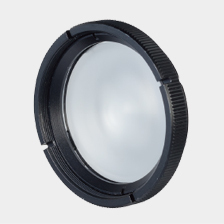 · The lighting periods are standard values when the fully charged BM3400B is used. · When the LED indicator turns red (5% remaining power), output is automatically fixed at 400lm and light continues to be provided for about 1hour. *Light module unit, Battery Module unit, Provided accessories are sold separately. 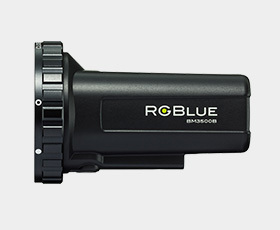 This lens condenses the emission angle from 100° to 60° to increase the luminance. The double structure of the optical lens and diffusion layer ensures flat light distribution without color irregularities. Combination with a filter is possible but that with another lens is not. 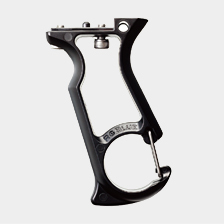 Gun-grip type hand grip equipped with a clip mechanism for direct mounting on a BC. 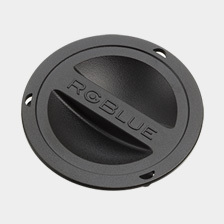 During transportation, this cap protects the O-ring surfaces and contacts from dirt and also secures insulation. 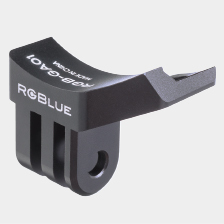 The bayonet mount facilitates secure attaching and detaching. Note: A waterproof function is not provided. Includes an AC adapter and dedicated charging plug for recharging the Battery Module. The input is compatible with 100 to 240V AC. 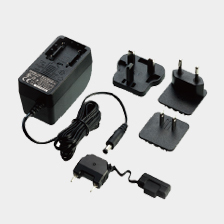 Three kinds of power plugs -types A, C, and BF- are available for international use. 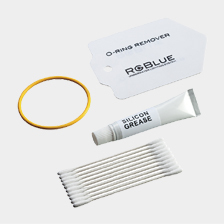 Dedicated O-ring spare, O-ring remover, special silicone grease, and lintless cotton swab are included. Case designed to accommodate the main modules, YS Adapter Set, Hand Grip 02, Condenser Lens, Maintenance Kit, and one optional filter. 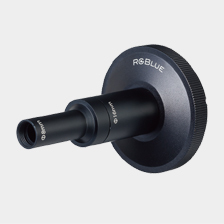 Made using an all-metal machining process, this adapter enables users to quickly and easily switch between various RGBlue System Series accessories such as a beam attachment, condenser lens, filter, and snoot kit. By cutting out part of the distributed light, the light blade reduces floating reflections for clearer illumination of the subject. 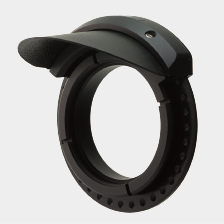 Full 360° rotation capability allows the blade to facilitate more precise control of underwater light distribution. 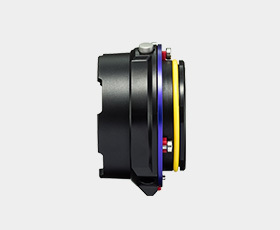 This adapter converges the emission angle from 100° to 30° using an exclusive optical lens. This allows the underwater light to be used as a searchlight capable of illuminating at a far distance. 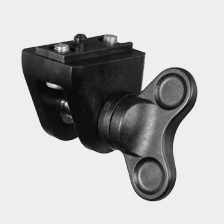 The adapter is made of silicon rubber for easy underwater mounting/dismounting and provided with a loss-prevention screw. Combined use with a filter or another lens is not possible. This optical filter is designed to illuminate living bodies that react to light. 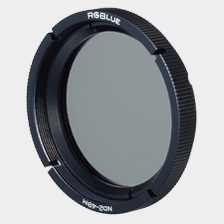 The filter can be used in combination with the condenser lens or another filter. 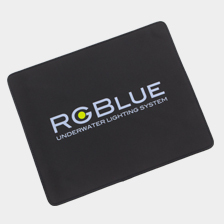 When the underwater light is too bright even at the minimum light intensity, this filter can be used to halve the intensity. 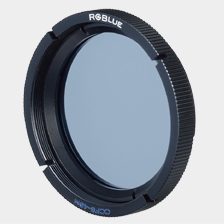 Combined use with the condenser lens or another filter is possible. This filter converts the color temperature of the light source from 5000K to 6000K when you want to enhance the whitish color tone in your photography. 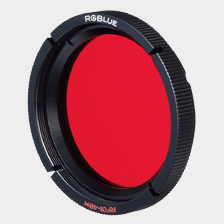 Combined use with the condenser lens or another filter is possible. Two underwater lights can be mounted on this base. 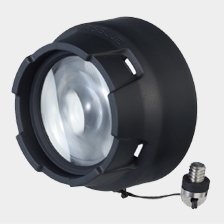 The INON S2000 strobe can also be mounted. 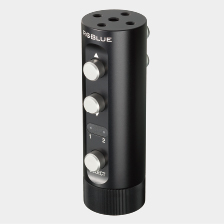 This product is designed for combined use with the YS adapter or ball adapter. 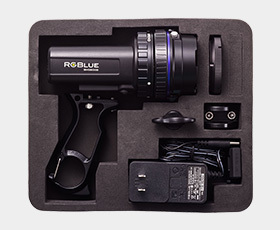 The INON Z240 and D2000 underwater strobes and all RGBlue underwater lighting systems can be connected and fixed on an arm or similar support. 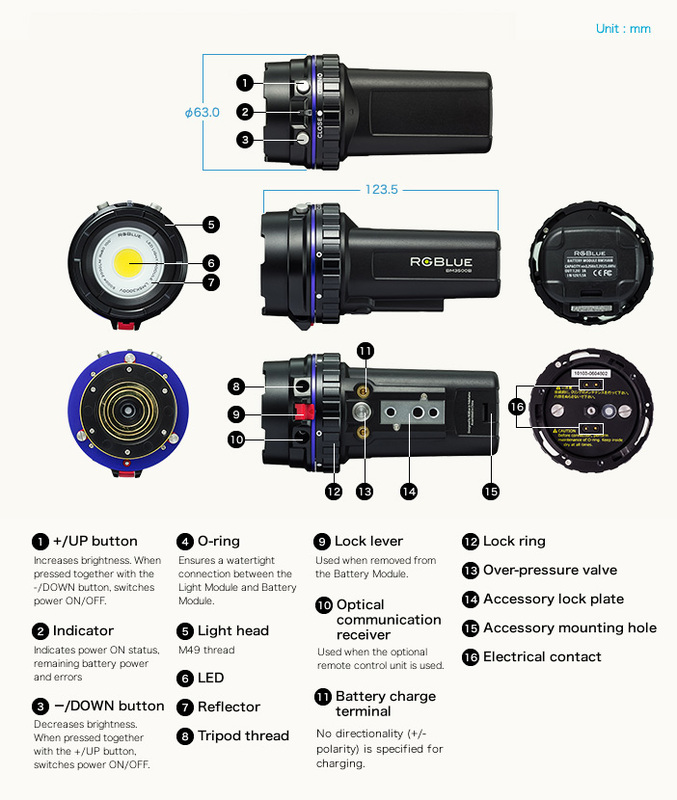 The Sea & Sea YS-D1 and YS-D2 underwater strobes and all RGBlue underwater lighting systems can be connected and fixed on an arm or similar support. 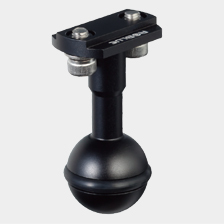 This adapter allows the GoPro® to be mounted directly on the underwater light. A compact photography kit can be formed in combination with the Hand Grip 01. When combined with the YS adapter provided as standard, this grip makes it possible to change the angle of the product as desired. It is particularly useful when combined with the GoPro® adapter. 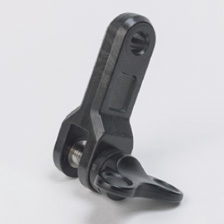 This adapter is used to clamp the underwater light on the shoe base of a camera housing. It can rotate a full 360°. The shape and dimensions of the dial knob have been modified to make it easier to attach or detach. A rubber section has been added to reduce rattling. When combined with an underwater light such as the Rotary Shoe Adapter 2* or SYSTEM 01, the working range can be expanded, giving you more lighting options. 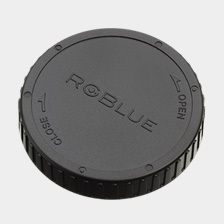 * This accessory can also be combined with the previous Rotary Shoe Adapter. 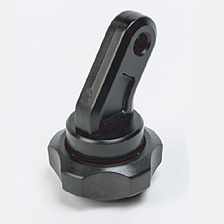 This adapter is used to connect the product to a commercially available arm clamp. Controls up to two SYSTEM01/02 units through commercially available optical fiber cables (compliant to the SEA&SEA or OLYMPUS standard). 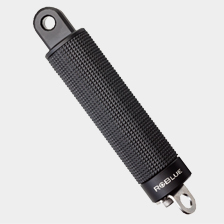 Provided with an arm connection stay/screws and the brightness control, two-light switching and low battery alarm functions, and powered by a single "AA"-size battery. 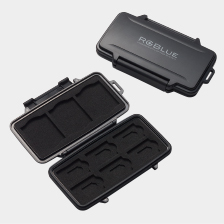 This weather-proof memory card case can hold up to 6 microSD, 6 SD, and 3 CF cards. 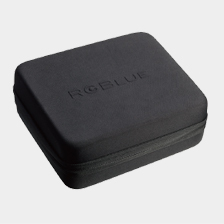 Measuring 40 x 50 cm and made of neoprene, this mat provides an excellent base for setting up your photographic equipment.